A bipartisan House resolution seeks to improve student safety by requiring the U.S. Department of Transportation (DOT) to compile data and implement a national public awareness campaign on motorists who illegally pass school bus stops. Reps. Jackie Walorski of Indiana and Julia Brownley of California introduced HR 2288, named the “Stop for School Buses Act of 2019” (STOP Act), in response to the deaths of three siblings—6-year-old twin boys and their 9-year-old stepsister—last Oct. 30 in rural Rochester County, Indiana. The legislation was announced during a school bus safety demonstration on Thursday at Rochester Schools Corporation. Walorski represents the county, while Brownley is a former school board member for the Santa Monica-Malibu Unified School District in Los Angeles. The STOP Act would require the U.S. Department of Transportation (DOT) to compile a list of all laws nationwide on illegally passing school buses, including fines and issues states have with enforcing the law. HR 2288 would also require a review of state laws that may reduce the effectiveness of school bus stop-arm video cameras, such as requirements that the motorist’s face is visible in footage, as well as the need for a law enforcement officer to witness the violation or the lack of primary enforcement of texting and driving. If passed, HR 2288 would also require the DOT to evaluate how states review, document and report stop-arm violations to law enforcement. The bill would also require that recommendations be issued on the most effective approaches to addressing illegal passing. In consultation with public and private school bus industry representatives, the DOT would create public safety messages, posters and digital media on the importance of heeding school bus stop laws, plus students who are boarding and egressing school buses. It would distribute them to state governments, local DMVs, schools and other public entities. Within two years after the enactment of the STOP ACT, DOT would also review and evaluate the effectiveness of various school bus safety technologies. Those include: cameras, audible warning systems, enhanced lighting and other systems. Another aspect of the resolution is to review current driver education materials and how they address illegal passing of school buses, as well as research the connection between illegal passing and distracted driving, morning darkness, illumination and reach of vehicle headlights, and the location of school bus stop in rural areas. DOT would publish all findings and reports for public consumption. The National School Transportation Association (NSTA) said it commends Reps. Walorski’s and Brownley’s efforts. 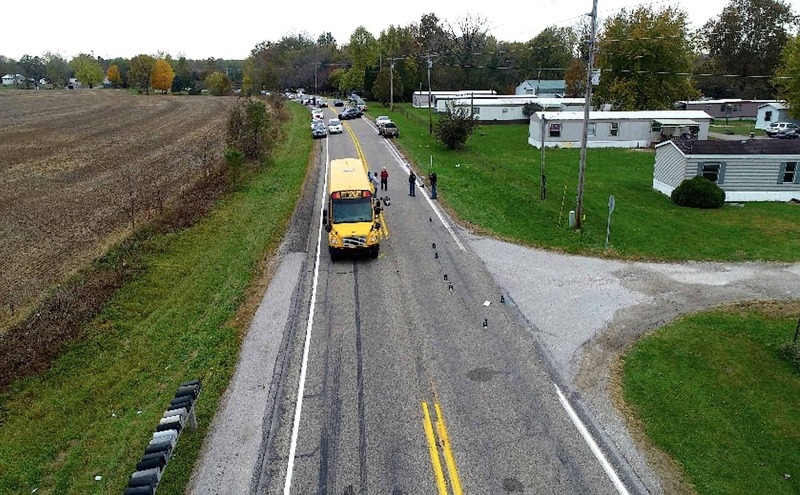 Walorski reached out to NSTA shortly after the student fatalities in her district to obtain more information on illegal school bus passing incidents. A representative of the National Association for State Directors of Pupil Transportation Services (NASDPTS) said a statement on the STOP ACT is forthcoming. Editor’s note: An original version of this article listed an incorrect bill number for the STOP Act.